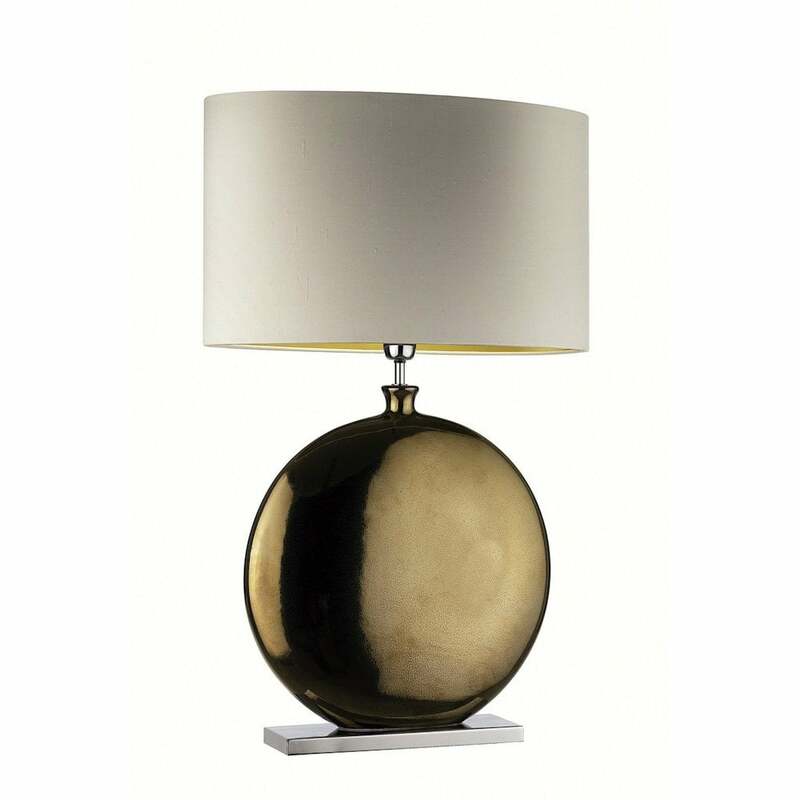 Bold curves and a gleaming metallic glaze are the signature design features of the Valencia table lamp from Heathfield & Co. The sleek, oval base is expertly slip-casted ceramic, finished in either a pewter or bronze glaze dependant on your interior scheme. The striking base creates the illusion of a spherical orb, light glistening from the mirrored glaze. Each table lamp is made to order and can therefore be customised in a variety of shade and lining finishes according to your requirements. The Valencia table lamp is also available in a smaller size, depending on your interior styling design. Priced for 20" Oval shade in silk with white PVC lining. Please contact us for other options.